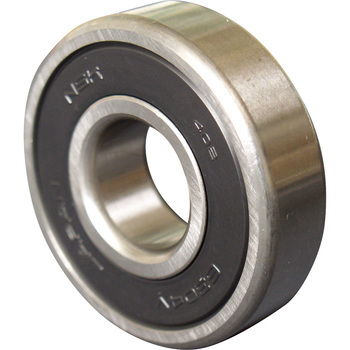 Coefficient is determined by parts shape and applied stress level of coefficient/bearing. I replaced it with a single item, it was saved, I will use it because it is a timing belt exchange after a while. This review is about item#6954525. It is always used bearings. I am saved because I can purchase it cheaply. This review is about item#6954543. It is for replacement for repair. It was nice to buy it very easy to use. I am very satisfied. This review is about item#6954561. It was a firm product as it is a manufacturer item. I am satisfied with the cheap price as well. Very cheap and satisfied. I will use it from the next time. This review is about item#06954516. Used for self-made conveyor rollers. Several times stronger than commercially available conveyor rollers. It was used as a buffing machine buffing machine. I was able to install without any problem. The sound became quiet, so that work could be done smoothly. This review is about item#06954577. Cospa The bearing which oil is not needed recently seems to have been developed, but please also handle it. I replaced it from overseas products. Resistance is completely different. As expected it is like NSK. This review is about item#06954525.